Booking is open for 2018 Christmas Minis sessions ! After the success of last years simple set up my theme this year is the reindeer backdrop as voted for, please note the reindeer etc is printed onto the backdrop and not a prop. You don’t want to miss out on these – spots will go fast and are available on a first come first serve basis. 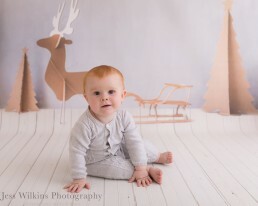 These sessions are designed to provide you with super adorable images, to design Christmas cards and gifts. The Reindeer Christmas set up can fit a max of 2 children only. 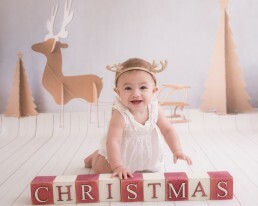 Family images will be taken on my light grey plain backdrop. 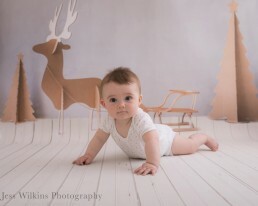 simplicity = super cute images of your child! I have some baby outfits at the studio which ive selected to compliment the set up. 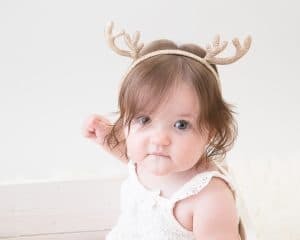 I have baby boy & girl rompers , some delicate headbands and reindeer ears – feel free to bring your own bits . 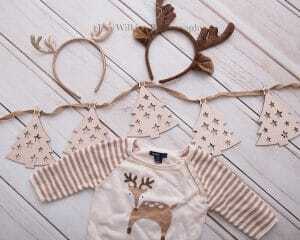 I recommend Christmas jumpers or Christmas PJ’s as outfit choices for your children ! The time slot is very strict and we will only have time for one Christmas outfit and one non-Christmas outfit change. 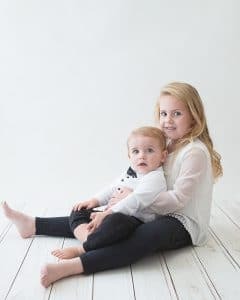 Mini sessions are perfect for single children or 2 siblings . Please note these mini are only suitable for babies at the sitting up stage from 6 months old unless coming with a sibling who can hold them upright to give you some variety. To book in follow the link here to the dates, select the date, choose the time and then pay for the package in full £65. you will then receive confirmation and my information sheet! *If you have a shy child or want longer time in the studio with no time restraints , more outfit changes , different set ups and props , and more images in your gallery then you can book a full length package off my main pricelist these start at £200. The number of images is dependent on the little/s one on the day but you can expect 5-10 images in your online gallery as a rough guide. If your baby becomes unwell or upset , we may reschedule at the photographers discretion. My studio is small and with 3 set ups its gonna be a squeeze so only parents can attend , a max of 2 adults per time slot. There has been a shift in the air and it isn’t just the cooler temperatures and darker nights. It’s in the shops, it’s slowly filling our news feeds too, prompting us to buy this, to go to this event and to sit down and craft with our children. Yes, we are talking about the big C.
It is less than 15 weeks until Christmas and it seems now leaving a carrot out for Rudolph, hanging a stocking on the end of the bed isn’t enough anymore. There are the crafts, the bakes, the Christmas markets, the must have toys, the flavoured gins, a creepy doll for you to position in a serious of pranks for 25 days and that’s just the build-up. 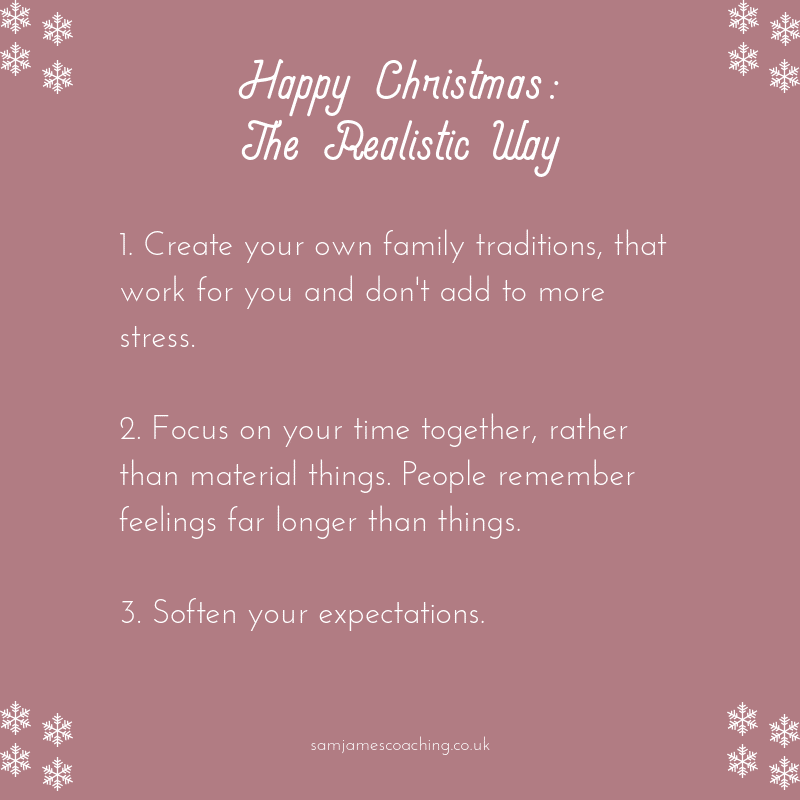 Never mind the gifts, decorations, the meal of the year to prepare and the fact you should also be doing some wholesome and traditional family activities too. Honestly, the thought of Christmas now a days is exhausting. What happened to just enjoying a few days off work, drinking and eating a bit too much in front of Christmas films for 3 days? Who invented Reindeer food and why, nearly 12 months on AM I STILL FINDING IT? There is a competitive side to whose doing what, whose spending what and how you are spending your time. You find yourself very much trying to keep up with the hundreds and thousands of digital Jones’. Social Media has now inaugurated itself into our daily lives, we can do all of our Christmas shopping at a click of a button and share with the world what we have spent and how much for. We get suggested crafts and bakes and see the world doing them, and feel we have too as well. If you aren’t baking cookies, making Christmas wreaths and visiting every Santa in Norfolk you can begin to feel as though you are letting down your children. It can be hard to step away from the norm, to not buy into the extravagance and competition of what Christmas has really become now. 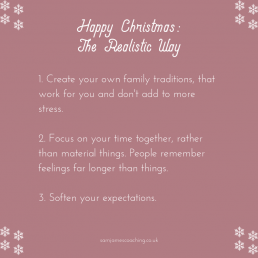 As a parent it can feel like you have a never ending list of expectations to fulfil and when you don’t you aren’t giving your children the Christmas they deserve. It can also be hard to put down the phone, to stop scrolling through the endless pics of Elf on the Shelf and the elaborately decorated Christmas tress everyone has. The fear of missing out, the fear you aren’t keeping up, you’re not good enough if you aren’t attending this event, doing this or have made your own Christmas scene out of recyclable materials. As much as we want to ‘make memories’ that our children treasure forever, traditions that they pass onto their children should we really be saying enough is enough and get back to focusing on what is really important? Should we just step back from social media and just enjoy Christmas the way we want to? The one which doesn’t come with unrealistic expectations, of the pressure that you have to do this, that and the other? The one where we are rushing to get the perfect Instagram shot? The one where we have to share what we are eating and where we are. 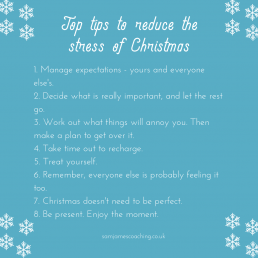 Perhaps this year we should just sit back watching the Polar Express with our mince pies and just appreciate what is in the room in front of you rather than what isn’t? Christmas comes but once a year, but let me tell you that you will be finding reindeer food all damn year long. Read more guest blogs here! ‘I’m going to lose weight in the new year’? ‘I’m going to get to the gym every day in the new year’ or ‘I’m going to detox after christmas’? These are statements made every new year and sometimes we make drastic moves to achieve our goals. With this in mind I have a penned a list of sensible adjustments you can make to every day life that will help you feel healthy, slimmer and more energetic. Avoid the latest fad diet, diet foods/drinks, sweeteners and any restrictive kind of diet. There is only one way. Don’t over complicate things.... Choose foods from the fresh isles of the supermarket. Lean (unprocessed) meat or fish, veg (eat a whole rainbow of different coloured veg), nuts, seeds, some fruit. Don’t cut out fats or Carbohydrates, they are an important source of energy but ensure you opt for the right sort. Rice, potatoes, sweet potatoes are good sources of carbs and nuts, seeds, eggs, avocado and cheese (in moderation) are great for providing essential fatty acids. Limit choices from processed food which is anything from ready meals to candy bars, crisps to biscuits. Exercise - choose a form of exercise you enjoy the most as you are more likely to stick with it. Perhaps find an exercise buddy so you can motivate each other. 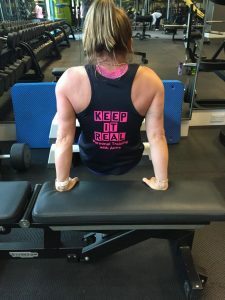 Ensure your workout week includes 2-3 sessions of resistance exercise as it’s not only great for shaping the muscles and improving posture but is essential for raising the metabolism, which essentially means you burn more fat at rest. Having been in the industry for over 25 years I have finally found my favourite form of exercise. It ticks all the boxes. For me, my exercise of choice is Crossfit which is a program of constantly varied, high intensity, functional movement which can be scaled to suit any level or age. Change your relationship with food. Food is essential fuel for the body. You wouldn’t put dirty, contaminated fuel in your car. If you consistently did, you wouldn’t expect it to work very well or last very long would you? You also wouldn’t expect it to work if the tank was empty would you? Your body is no different. You need to eat and drink a diet full of nutritious, healthy foods in order for your body to work optimally. You cannot starve your body and hope it will keep working as it should. Trust the process. Be honest. Make short and long term (life long) health and fitness goals! Changes do not happen over night. If you are being honest about what you are putting in your mouth and how much energy you are exerting each day and you are creating a very small calorie deficit you will find weight will come of sensibly and steadily. 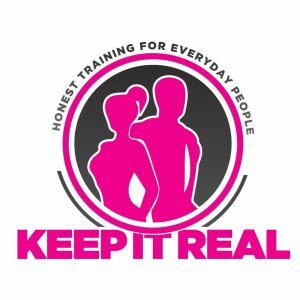 KEEP IT REAL. Go for that drink, have that meal out, eat the cake but just don’t do it every day. I have an 80:20 rule. 80% goody two shoes 20% not so goody two shoes! Don’t make changes you can’t keep up, be sensible, be realistic and don’t forget that life is for living and enjoying! 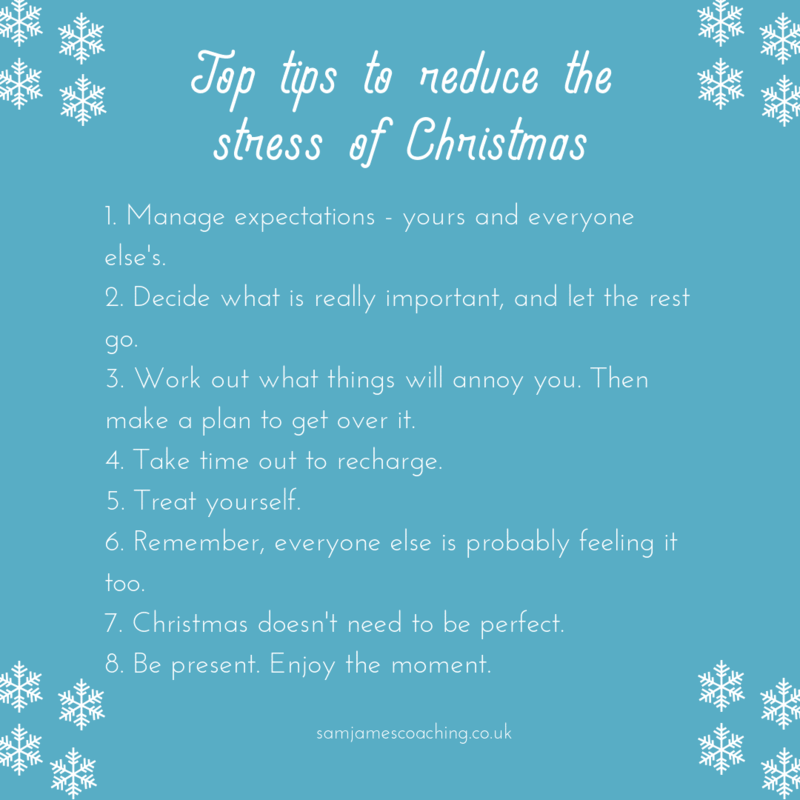 I hope these little tips help you through the new year. I am more than happy to help with exercise and nutrition direction.. Drop me an email if you’d like to find out more. To check out all my other amazing guest bloggers click here ! Looking for the PERFECT Christmas Present?.... look no further! Your child's OWN prints and drawings captured on handcrafted jewellery and gifts to cherish forever! I am very excited that I have been given an exclusive 10% off code from Fingerprint Jewellery Norwich . I adore my finger print heart necklace , it meas the world to me ! A while back , my Lila hid it in her toy kitchen , it took me weeks to find it ! Safe to say I keep it hidden high when not on me! 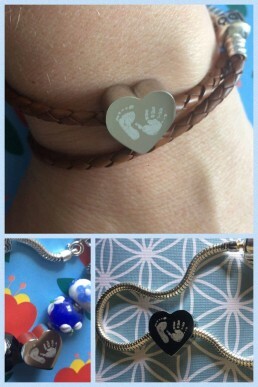 If you are sentimental and want some handcrafted and bespoke jewellery of your newborn, kids drawings, fingers / hand prints or your pets paw prints there are lots of options. 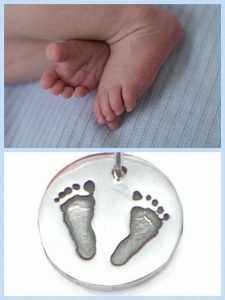 Beautiful, bespoke, quality, fine silver jewellery personalised with your little ones fingerprints, minature hand/foot prints, photos, drawings and messages. Suitable for Adult prints and messages too, so the perfect present for your loved ones for Christmas. Fingerprints, handprints, footprints, drawings, kiss prints, handwritten messages, scan pictures and paw prints ALL done via post so location not an issue. So the best bit use this code JESSW1 to get 10% off your order. You can see Kim and her team at the Norwich Market with their Keepsake POP up shop. Personalised jewellery from just £15. Your child's OWN prints and drawings (not forgetting adults and pets!). Ranges for Men/Women and Children. Perfect Christmas presents they guarantee they will LOVE. Lots of personalised very special gifts. Get help with prints/take away kits/try on/browse range/Special Offers/FREE Xmas craft activity to entertain the children whilst you shop! Contact them at www.facebook.com/norwich1offmoments or www.1offjewellery.co.uk quoting JESSW1. For a 10 % discount. Jess - happy shopping ! Christmas Mini Sessions 2017 - BOOK NOW ! Booking is open for 2017 Christmas Minis sessions ! After the success of last years simple set up my theme this year is white and wood. You don't want to miss out on these - spots will go fast and are available on a first come first serve basis. 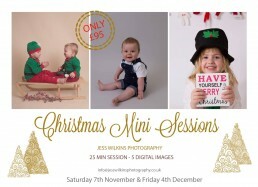 These sessions are designed to provide you with super adorable images, to design Christmas cards and gifts. The Christmas set up can fit a max of 3 children. 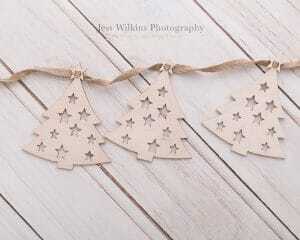 I’ll be keeping it super duper simple with wooden Christmas tree bunting, wooden sleigh on a plain whitewash a plain backdrop. 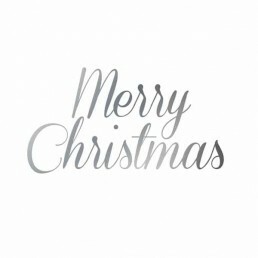 I recommend Christmas jumpers or Christmas PJ’s to jazz up your images ! To book in, contact me i’ll send you a list of dates and times . I require £25 to secure your slot , the rest is payable on the day or visit my shop to pay for the package in full. A deposit of £25 is required upfront to secure your slot. The rest of payment is due on the day , if you do not pay the deposit within 24 hours the slot will be re-opened. My studio is small so only parents can attend , a max of 2 adults per time slot. 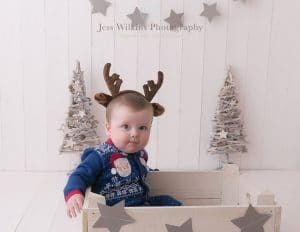 The Christmas mini sessions are going to be lots of fun and a great way to capture your baby/child , they are fast paced but perfect to get some images - which make perfect presents for family and friends! 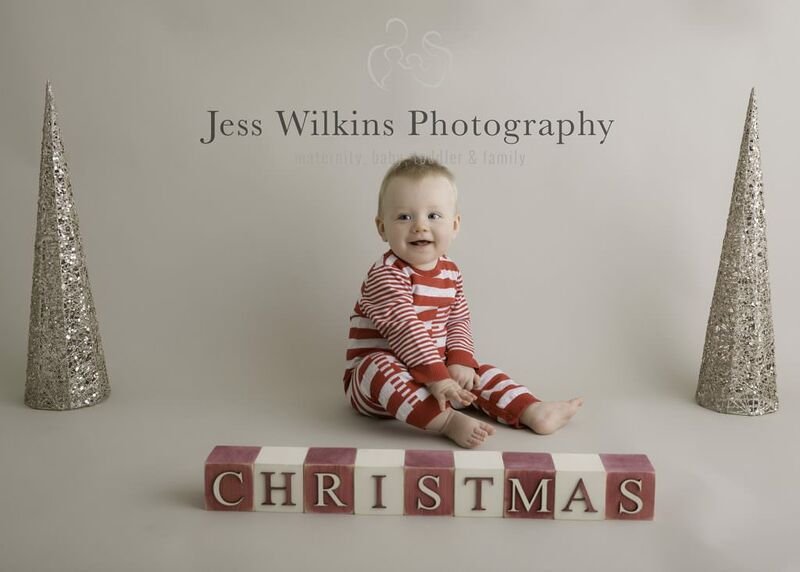 Booking is open for 2016 Christmas Minis sessions ! 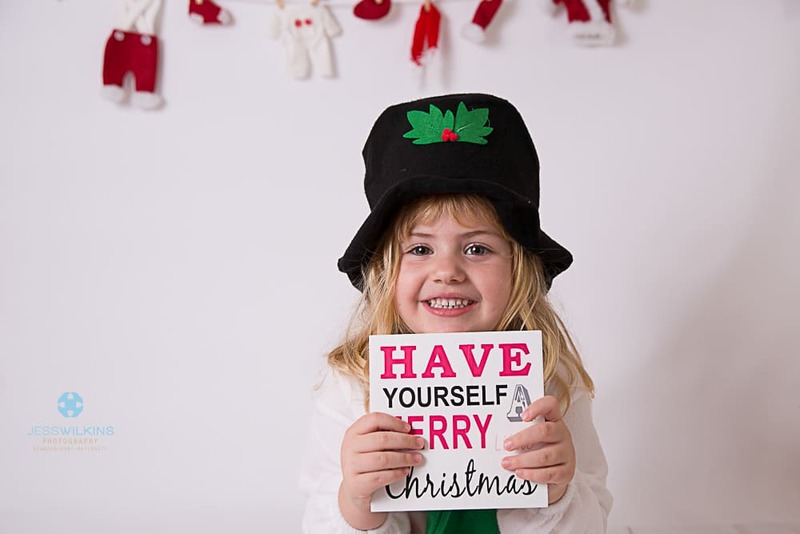 These sessions are designed to provide you with super adorable images, to design Christmas cards and gifts. The Christmas set up can fit a max of 4 children. Here are some examples of the set up - think bunting, wooden sleigh , understated Christmas props , and a plain backdrop. 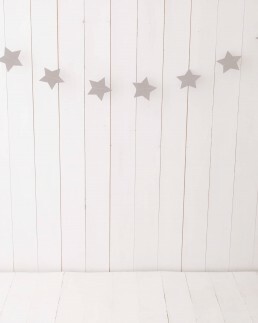 simplicity + sparkle = super cute images of your child! I have some baby outfits at the studio which ive selected to compliment the set up. I have baby boy & girl rompers , some delicate headbands and reindeer ears – feel free to bring your own bits especially Christmas jumpers ! The time slot is strict and we will only have time for one Christmas outfit and one non-Christmas outfit change. A deposit of £25 is required upfront to secure your slot. The rest of payment is due on the day , if you do not pay the deposit the slot will be re-opened. The Christmas mini sessions are going to be lots of fun and a great way to capture your baby/child - which make perfect presents for family and friends! I have finally sorted my Christmas Mini Session dates and times, below is all the information you should need , but if you have any questions please contact me. These are designed to allow you to have some beautiful images of your child/ children, perfect to give as gifts for Christmas or to treat yourself and display proudly in your home. Unlike my other mini sessions these are shorter sessions with one outfit change and a max 10 images to choose from. They will take place Saturday 7th November and Friday 4th December at various times throughout the day. When you email to book , I will inform you what times are left/ available. A 25 minute mini session & 5 images sent via email/download the cost is £95, a few day after the session you will be sent a gallery link to view all your images . From this you can choose your 5 images to be sent via digital download, straight to your computer, you can purchase the rest please see below. The number of images is dependent on the little one on the day but you can expect 5-10 as a rough guide. Due to the time limited nature of the session where a child may become shy or unwilling no guarantees are offered to provide a specified number. You can purchase any extra images for £25 . Images include with print permission to print as you wish. A deposit of £20 is required upfront to secure your slot. The rest of payment is due on the day , Lisa my assistant will be on hand to take payments and spread some Christmas Joy ! mince pies and cake will be supplied ! At my home studio in Sprowston, Norwich. 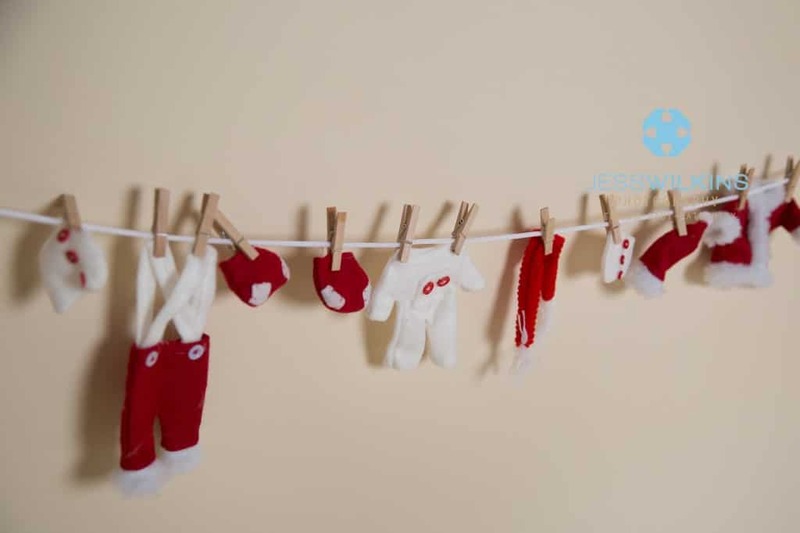 I have set up my sessions so that we start off with the Christmas theme images (I have some props: bunting , sleigh, lights to give a Christmas feel but not over the top) . I then move these out of the way, to finish with some classic and timeless portraits that last all year . This has proved popular - I will send you a detailed info sheet on what to bring, clothes that work well and my full address. 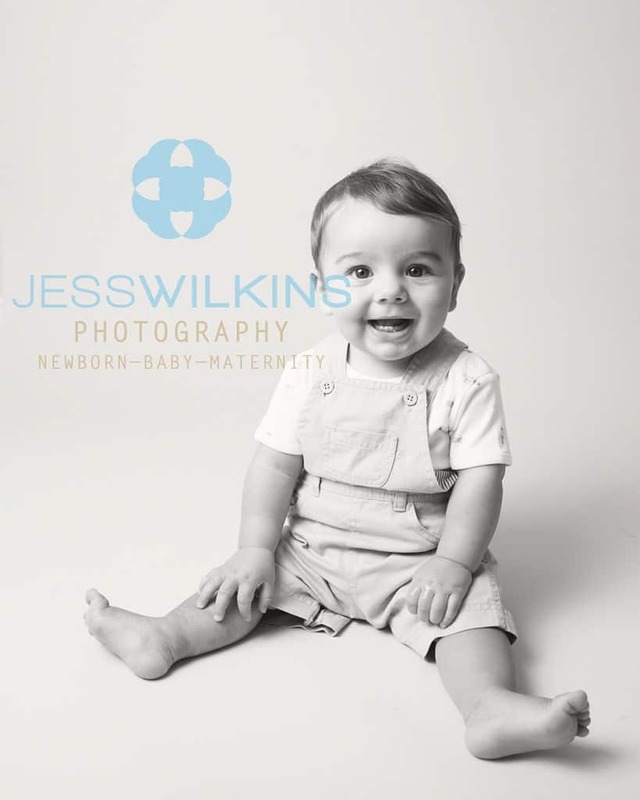 These sessions are not suitable for newborns, but great for babies 12 weeks and older, there is space for up to 4 siblings in my studio or a family of 4 (with one child being a non walker). 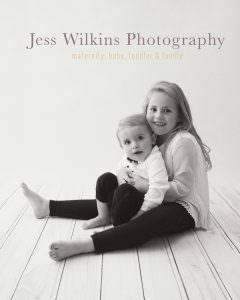 to book please email at info@jesswilkinsphotography.co.uk or use the contact form on my website. I will then send you a booking form with payment details and avalible slots to choose from. I have emailed my previous clients first and already some slots have gone, so be quick!